Marketing automation and lead nurturing are some of the fundamentals of a fully functioning and well performing inbound marketing strategy. Understanding how the two work as part of the bigger strategy is crucial to the success of any good campaign. 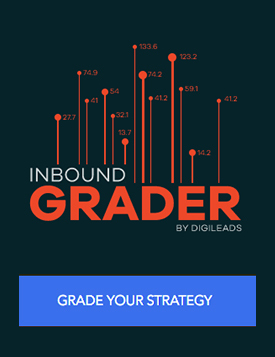 Marketing automation is how you would go about dealing with leads you’ve captured from a lead magnet, for example. By using tools like ActiveCampaign and HubSpot we can start to drill down and carry these leads further down the buyer journey and into a purchasing decision. Lead nurturing allows you the opportunity of focusing purely on people interested, or at least considering, buying your product. By moving away from the ocean of cold leads and down to a pool of strong and warmer candidates we can put our efforts and resources into nurturing the leads that count and will get you sales. The whole point of lead nurturing is actually to get your prospects onto the next step of the buyer journey, which will, in turn, bring them to a purchasing decision. While each part of the process is connected to that final stage, it’s important to think and plan your lead nurturing around the simple nudges to get the prospect further down the sales funnel. It’s also important to understand the audience you’re nurturing really well and how to communicate to their pain points. Whether it’s saving time, money, or introducing innovation – being able to communicate these specific propositions will increase the likelihood of a prospect moving down the sales funnel. Marketing automation tools are quite common these days, and it’s easier than it was a decade ago to find amazing pieces of software that accelerate your lead nurturing efforts tenfold. ActiveCampaign is an email marketing and CRM (customer relationship management) tool that we use often for our inbound marketing services. ActiveCampaign lets you send newsletters, campaign follow ups, and individual emails to prospects. A tool like this comes into play once you’ve started generating a list of interested prospects that have given you their contact details in exchange for a lead magnet. Once you have the details of your prospects, there’s many different things you can do with it and marketing automation is the key. An example would be to send an email campaign, thanking them for downloading (or using) your lead magnet and providing more information on your product or service. A few days later, another email would arrive and perhaps break down their problem a little further with a case study from one of your previous customers and how they used your product or service. A CRM on the other hand, allows you to provide automated actions to your sales team based on exactly how far the prospect is in the buyer’s journey and other behaviours. For example, you can trigger more emails to be sent if the prospect visits a certain page on your website. HubSpot is another favourite amongst inbound marketers and is praised for its well featured CRM tool. The features in HubSpot cover most of the needs any inbound marketing strategy could need and allows you to scale and save time with its awesome automation. Marketing automation is a must-have addition to your lead nurturing campaign. One of the main reasons for this is the sheer amount of time it saves, whether you’re one person or a large team – the time saved is always in your favour. By using techniques such as workflow strategies, which allows you to plan out exactly when and what emails to send your prospects based on their behaviour, you’d save countless amount of hours than if you were manually doing this on your own. When it comes to working with large amounts of leads or a limited budget, marketing automation for your lead nurturing is always a great tool in shaving off a significant amount of time on repeatable tasks and increasing your ability to convert leads. Marketing automation tools also allow you to score leads based on actions they perform, or lack thereof. This allows you to distinguish where in the buyer’s journey a prospect is and what action to take with them. This is hugely beneficial to your lead nurturing campaign, as being able to filter down your large pool of prospects allows you to once again save time and focus your resources and energy on the right prospects. Marketing automation and lead nurturing are the bread and butter of inbound marketing and getting the marketing results you desire, we hope you’ve learnt a lot from this article and are now armed with the proper information to know where your inbound marketing might be falling short.